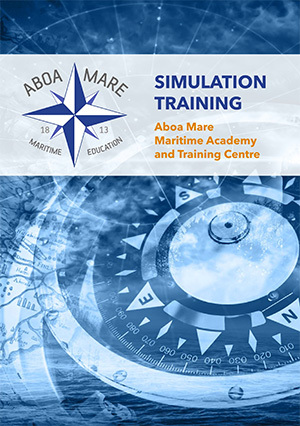 Aboa Mare utilizes the Transas TGS 5000 GMDSS simulator in a classroom setup with a total of 16 workstations. Our GMDSS simulator is complying with the STCW 2010 and IMO Model Course 1.25 requirements and the simulator is certified by DNV as a “Class A” Radio Communication Simulator according to the Standard № 2.14. Our GMDSS simulator is accurately imitating ship-to-ship communications and ship-to-shore stations using highly realistic simulated terrestrial and satellite communication systems. 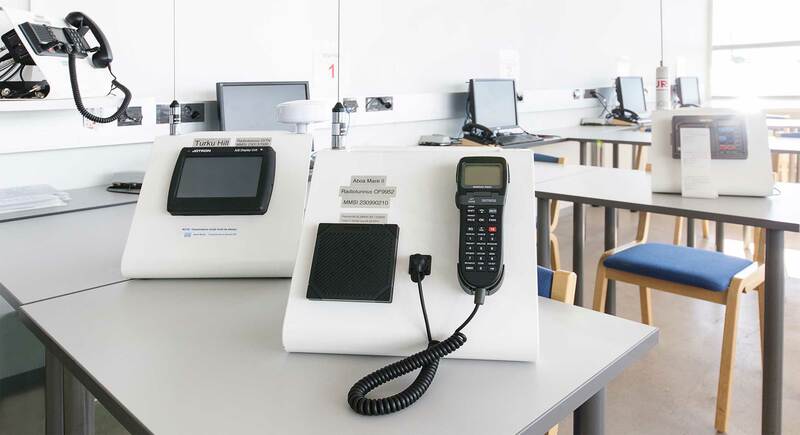 Trainees can be familiarized with the correct operation of a variety of GMDSS equipment for distress and general communication as the software emulates GMDSS equipment produced by S.P. Radio, Thrane&Thrane and other manufacturers. We can simulate a full set of SAILOR 6000 equipment. It is also possible to use four different types of GMDSS radio equipment, manufactured by S.P.Radio/ Thrane&Thrane: SAILOR 6000, SAILOR 5000, SAILOR System 4000 and SAILOR Compact 2000. In addition, the VHF&DSC FURUNO FM-8800S is included. Jotron AIS SART as per IMO Resolution MSC. 256 (84) as an alternative to 9 GHz SART and a simulation of Inmarsat Fleet77, Inmarsat FBB, AIS Class A and Glonass/GPS receiver. We can provide simulation of MF/HF/VHF communication in DSC, telephony and telex modes, as well as satellite communication between workplaces (ships) and with coast radio stations for any shipping area as well as simulation of maritime safety information transmission via SafetyNET, NAVTEX and HF NBDP services. Furthermore, we can imitate radio wave propagation using a radio ether model which accounts for the frequency range, time of day and distance between stations. An electronic chart is displaying the coastal base stations, GMDSS sea areas, and SAR areas. It is also possible to make a rough estimate of the radio waves propagation in the selected frequency band. We can change from a networked operation to single-user mode to enable self-education in Demo, Test and Exam modes. All radiotelephone communications is recorded and can playbacked in a debriefing session. Joint operation with our navigational simulator is also possible.